Does My Business Need Spoilage Insurance? Food spoilage has always been a major inconvenience for businesses that make, prepare, or serve food. If perishable ingredients are not used up before they expire or go bad due to an unforeseen event, businesses can lose hundreds or even thousands of dollars in product. While you cannot always prevent spoilage from occurring, you can help keep your business safe from the associated financial loss. With spoilage insurance, your company is protected from the loss of food inventory and the risk of getting shut down due to serving tainted food. Food spoilage exposes your business to numerous liability risks if the tainted food happens to get in the hands of customers. 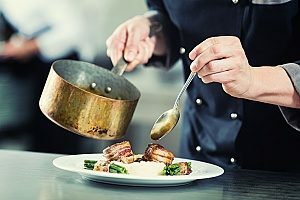 Foodborne illnesses like food poisoning can result in serious lawsuits that can wreak havoc on your company’s finances and reputation. While not all food that is spoiled contain bacteria known to cause illness, most spoiled foods have diminished taste, texture, and appearance which can turn customers away. Sometimes spoiled food may appear okay, but actually contain pathogenic bacteria that can result in severe illness. Salmonella and e. coli are some of the most common bacteria that can grow if food is not refrigerated or cooked properly. Say that a transformer outside of your business gets hit by lightning, causing the power to go out in your restaurant. You do not have a backup generator and your fridge and freezer are stocked with food. If the problem is not fixed promptly, you risk exposing your perishable goods to unsafe temperatures. Spoilage insurance will cover the cost to replace the lost product. You never know when your equipment is going to suddenly fail or breakdown. Your refrigerator or freezer may stop working when you least expect, and if you do not remedy the problem quickly, the food inside will likely spoil. Spoilage insurance will often cover the cost to replace any lost food or drink caused by the equipment breakdown. However, know that some policies require that you perform regular service maintenance on your equipment. Food contamination is another risk that businesses that prepare or serve food face. Ingredients can become contaminated for a wide range of reasons. Sometimes, food can arrive to your establishment already contaminated and the bacteria can spread unknowingly. If the issue is not caught early on, your customers could become ill from the tainted food. Spoilage insurance will typically reimburse you the costs associated with the food contamination, such as income loss and food replacement. All businesses that serve food should acquire spoilage insurance, no matter the size of your company. 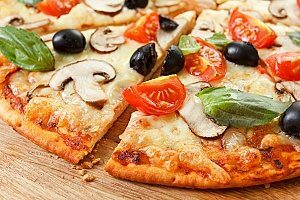 While restaurants make up the bulk of these businesses, it is not only restaurants that can benefit from spoilage insurance. Butchers that store cuts of meat, laboratories that handle blood samples, ice cream parlors who depend on frozen treats, and similar types of businesses may also choose to acquire spoilage insurance to ensure that they are well-protected against certain risks. As this type of insurance is not typically included in standard commercial property policies, you will need to acquire a separate policy for your business. So what exactly qualifies as perishable stock? In general, this includes items that must be maintained under controlled conditions for proper preservation. Perishable stock also includes items that are susceptible to damage if these conditions happen to change. While food spoilage is an excellent add-on for restaurants, blood banks, florists, cigar shops, and similar businesses, there are some things the insurance does not cover. It cannot usually cover losses previously excluded by an underlying property policy. It also does not generally cover losses caused by the deactivation of electrical power, the disconnection of refrigerator or freezer units from the power source, or a utility company’s inability to provide a sufficient amount of power due to a government order or fuel shortage. 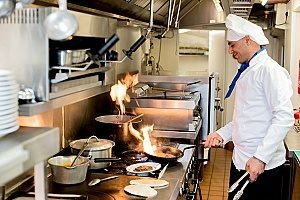 Spoilage insurance should be an essential component of every restaurant’s risk management plan. However, finding the right level of coverage for your business is not always easy. Whether you are a food truck constantly on the go or a bakery serving up the area’s best breads and cakes, know that having adequate insurance coverage can provide you with great peace of mind. For more information about spoilage insurance, restaurant insurance, or how to get coverage, contact a professional restaurant insurance broker.